We did it Dexperts! Michael C. Hall was voted as television's favorite actor, on TV Guide Magazine's, Fan Favorite awards! Congratulations Michael! The winners of other categories, are: Favorite Drama: Fringe, Favorite Comedy: Community, Favorite Actor: Michael C. Hall (Dexter), Favorite Actress: Zooey Deschanel (New Girl), Favorite Singing Competition: The Voice, Favorite New Show: Once Upon a Time, Favorite Horror Series: Supernatural, Favorite Guilty Pleasure: Ringer, Favorite Couple: Castle & Beckett (Castle), Favorite Villain: Evil Queen (Once Upon a Time), Favorite Ensemble: Community. ... So many votes i gave... so worthy..! 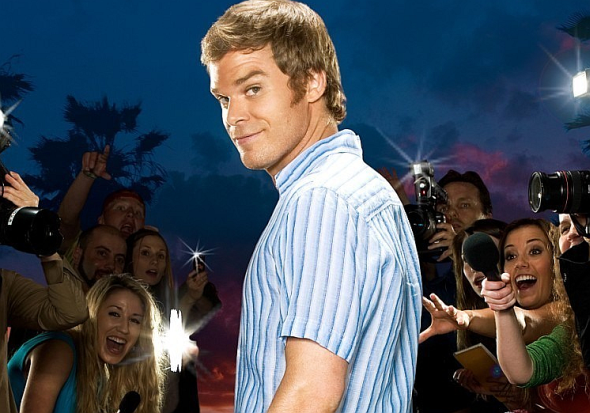 I love Dexter & Michael C Hall..! totally deserve..! Michael C. Hall and Zooey Deschanel? Two of my favorites, but I only see Zooey in her movies.